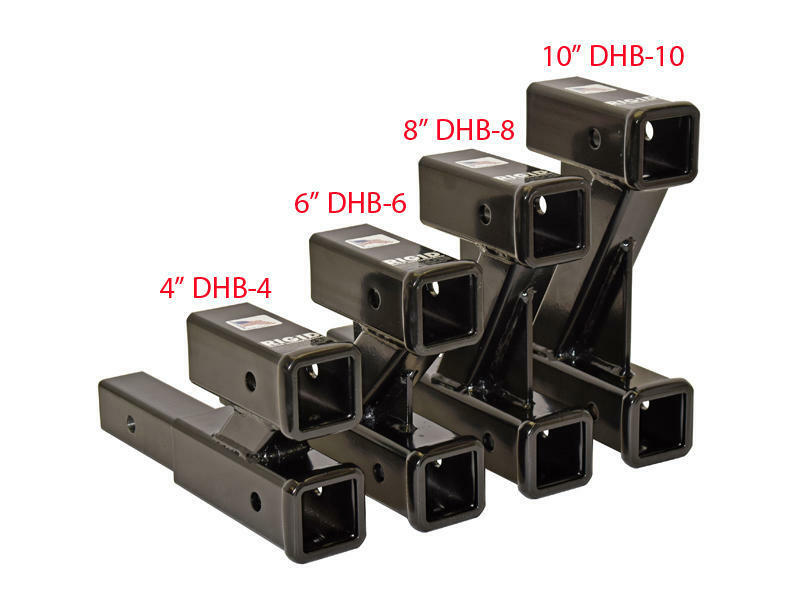 Designed to raise or lower the hitch box of a 2 inch receiver when using a tow bar. Accessories such as a bike rack or cargo carrier may also be inserted when the tow bar is in the drop position. Product can be used in the rise or drop position. Please note: Never exceed the tongue weight or gross trailer weight of your trailer hitch while using this product. Per the manufacturer: User will be responsible for maintaining adequate turning radius when using this product. Product is not to be used for trailer towing or weight distribution. Top and bottom receivers are 2" I.D.